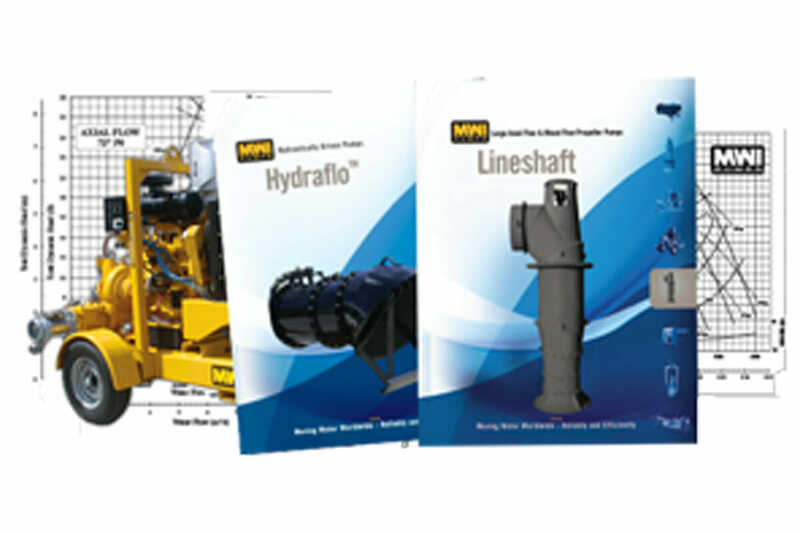 The Hydraflo™ is a patented, submersible pump that uses the power of hydraulics to drive the impeller via flexible hoses. This replaces a fixed motor, a long, rigid shaft and the supporting structure common to most pumps that can move very large quantities of water. The unique design allows the pump to be set up in hours – not months- eliminates most of the civil works necessary for installation – saving a lot of time and money, allows the pump to be portable and provides variable speed control. Submersible electric pumps have an impeller directly connected to a water-proof electric motor. These pumps have multiple configurations – vertical, horizontal, or any angle in between, canned or enclosed. Axial and mixed flow pumps that are a tried and true, dependable technology which will meet your needs for high-volume, low head pumping such as flood control, drainage, flood irrigation, water supply, aquaculture, amusement parks and other similar requirements. Complete mobile pump stations on wheels that can be quickly moved to where they are needed and will be operational within minutes of arriving – these mobile pumps are reliable and ready to go. 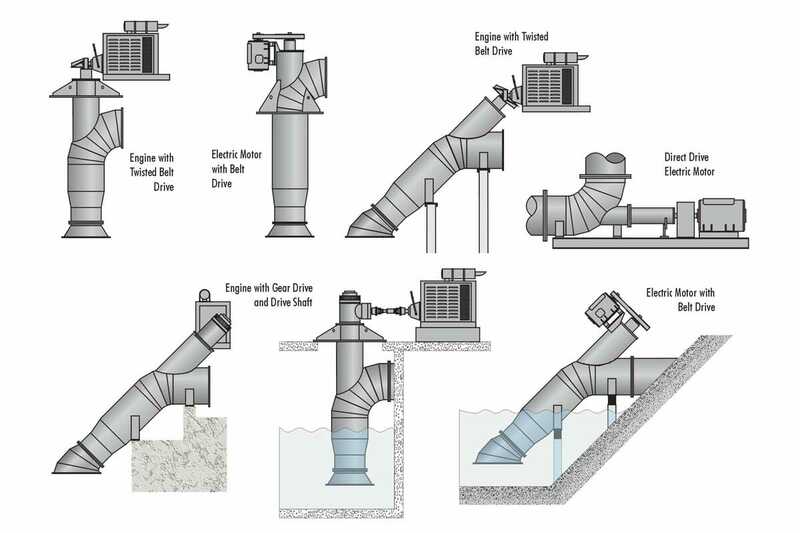 Automatic, dry-priming trash pump is the ideal choice for contractors, dewatering firms, sewage-bypass operations, mine or quarry operators, municipalities, and industrial operations. 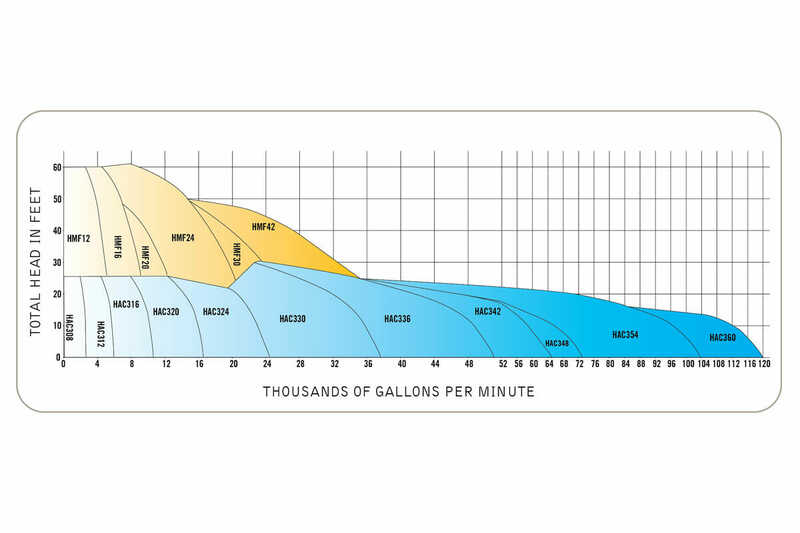 For environments where pumps must perform day and night in mines, on job sites, in sewage bypass operations and in industrial applications. Self-priming, valveless positive displacement pump – perfect for groundwater applications, including wellpoint dewatering. Available for purchase or rental, the Rotoflo™ is unrivalled in its ability to be repaired easily on-site. Patented, complete rural village water supply and treatment unit that is capable of delivering potable water to a rural village on a continuous basis. Primary power for the SolarPedalFlo™ are the solar panels, which operate the unit continuously under varying light intensities. At night, or on cloudy days, the Solar PedalFlo™ can be operated simply by pedaling. High-performance, automatic-priming, run-dry PrimeRite™ pump with the specially designed, sound attenuation enclosure. Perfect for residential areas, near hospitals, government buildings, schools and wherever quiet operations are required. 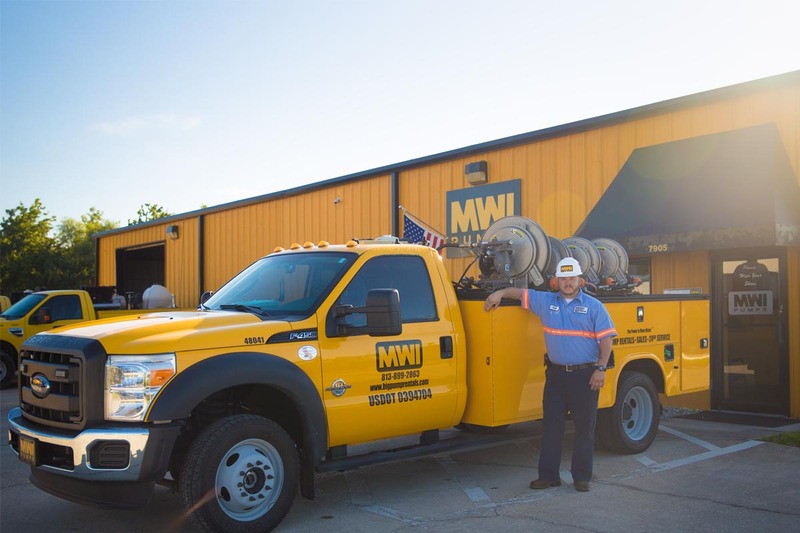 The Double Diaphragm Pump is the newest addition to the MWI contractor dewatering pump line. The Double Diaphragm Pump is an incredibly versatile pump capable of working in numerous applications and industries. 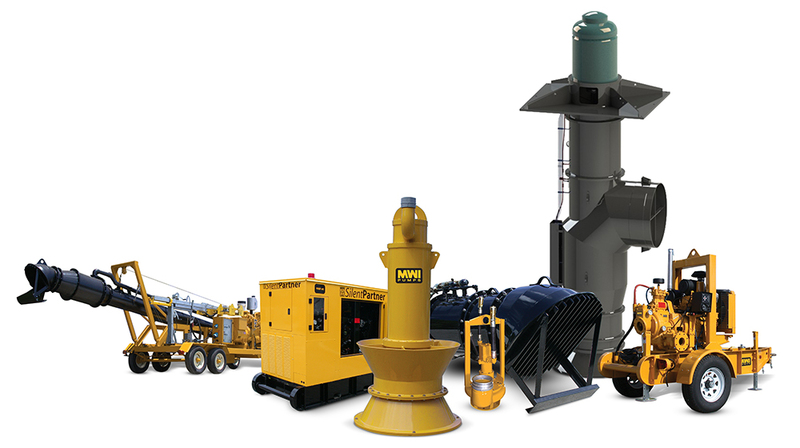 The MWI Hydraflo hydraulic submersible pumps coupled with their diesel or electric drive units are an unbeatable combination for: drying out construction excavations, quarry dewatering, bypassing sewage, general municipal use and industrial work.